Like many of my colleagues at Shockoe, I began writing computer code in a high school classroom. However, in my case, the school was particularly advanced for its time in offering such a course, and our “computer” was a keyboard, dot-matrix printer, and a modem connection to the University of Virginia, where the actual computer occupied an entire floor of a large building. And while most of those colleagues went on a path that brought them relatively quickly to Shockoe, I spent two decades working as an attorney in New York, Seoul, and Virginia. 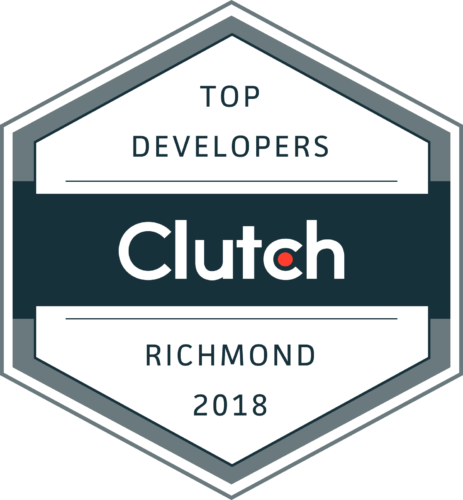 Now in my third year of software development I have felt particularly happy to be at Shockoe because I believe it addresses needs that I often saw during my time working as an attorney, needs that I am certain are shared by many industries. In my experience, the following was typical of the manner in which law firms implement technology. First, the decisions are made by senior partners who, being busy with the representation of clients, have little time to keep up-to-date with what is available or most desirable in technology. This leads either to an “if it ain’t broke, don’t fix it” mentality, or an attempt to take care of the problem in one fell swoop with a package solution that may or may not fit comfortably with the way they have set up their practice. In the latter case, the acquired technology may go unused, or used only to the extent required by the firm. For example, if a time-tracking application is difficult to use, an attorney may keep track of his time on post-it notes as she always did before, then have her secretary type it all into the application at the end of the week. In either case, what then happens is that employees begin finding their own solutions. Each attorney and his or her assistants devise their own system, piecing together hardware and applications as they see fit. Depending on their level of technological sophistication, they may, or may not, arrive at a solution that works well for them. However, this approach drastically reduces the potential for collaboration, and creates a host of potential problems, as the less technologically-adept might adopt solutions that introduce security vulnerabilities or other problems. Although so often noted as to sound trite, an average employee today with a typical mobile device is comparable to an employee with superpowers two or three decades ago. To make the most of those powers, however, requires sophisticated solutions. This includes, of course, a focus on the possible pitfalls of any new technology. A device that allows employees to watch training videos at convenient times may also allow them to spend the working day watching Netflix. Large collections of data become valuable, and thus must be protected, not only from hackers in foreign locales but from disgruntled or former employees. Yet while minimizing risk demands much attention, it is just as important to make certain that new technology is used to its full potential. Making one’s workforce five times more efficient is simply not good enough in a competitive business environment if the competition makes their workforce eight times more efficient. This is what excites me about working at Shockoe, being able to use my skills to allow our clients to make the greatest possible use of the technology available to them. Apps created now increase employee productivity, streamline task performance and ensure employees have real-time data access they need for day to day exchange opposed to the opposite stagnant mentality. If this sounds familiar to you, check out our work for Financial Services Mobile Technology and contact us for any innovative ideas to help your team tackle your digital transformation with a great mobile strategy.